I don’t have this tape anymore. I got sad about this fact recently, but I’m more sad about it today. This was once a birthday gift. For my 13th birthday, in fact. This album had come out just weeks earlier, and I’m sure I asked for it specifically. I grew up a Michael Jackson fan in a Michael Jackson household, but I still loved Prince. Didn’t everyone in the ’80s? If Michael was #1, Prince was #1A (and Madonna was #1B). 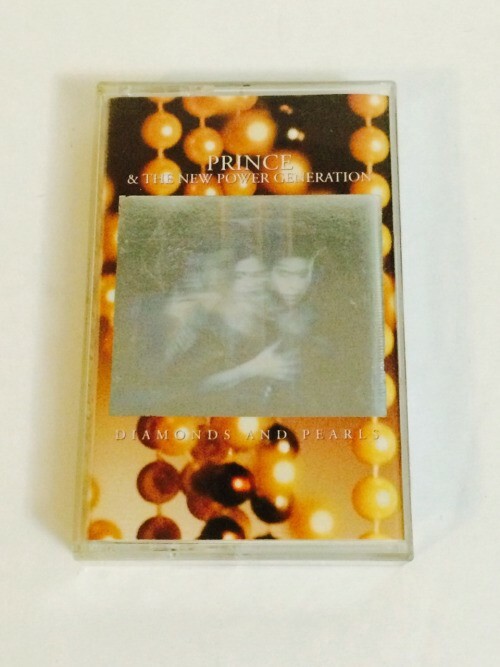 Diamonds and Pearls was the first Prince album I ever owned. I had singles on cassette (“Alphabet Street”, “Batdance”), but maybe I was just a little too young, just a little too introverted, to fully appreciate the libidinous Purple One until I hit puberty. Yet as the years wore on, my love for this music grew and grew. From the shimmering romanticism of “Most Beautiful Girl in the World” to the mystic spiritualism of “Seven” — maybe still my favorite Prince song — I began to fully appreciate the scope and depth of this genius. My love went back into the past, too. Back to those songs which, by 1991, had already become part of the firmament. In my twenties, I finally saw Purple Rain, and did my best to comprehend the massiveness that was this album, and this man, back when I was only five years old. More than thirty years since its release, it sounds as catchy, vital and evocative as ever. It sits, fittingly, alongside Michael Jackson’s Thriller as one of my top five albums of that decade. Five years ago, I was lucky enough to see Prince for my first (and only) time. The show was at the creaking, cavernous Tacoma Dome, and it wasn’t the hours-long, life-changing show I had heard (and hoped) it could be. But it was still Prince. And though the concert was not legendary, it was obvious the man was. And will 4ever be.